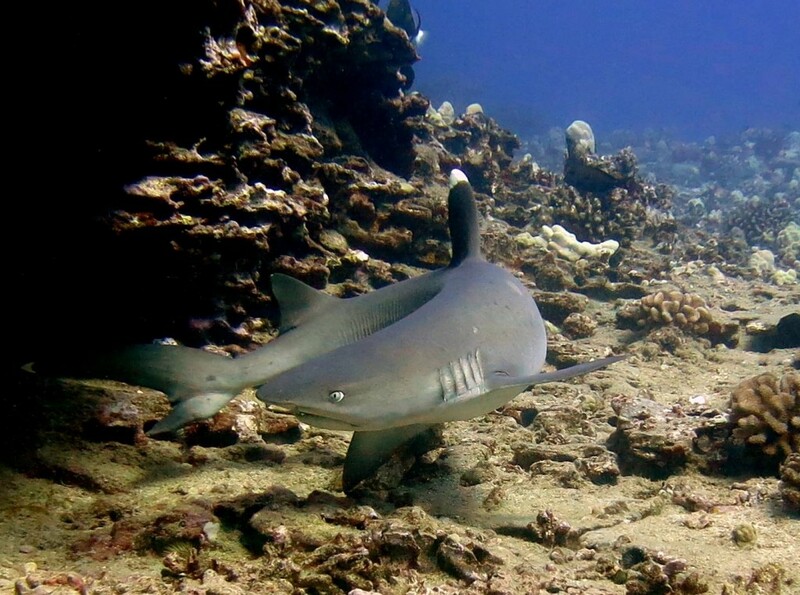 Stealthy, silent, fast, and beautiful–a white tip reef shark cruises in a shallow reef in Hawaiian waters. White tips tend to sleep during the day, hiding in darkened caves. 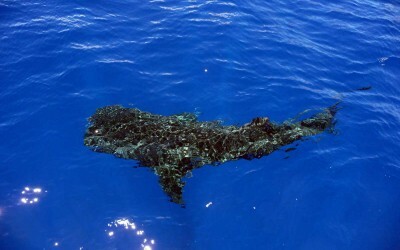 Unlike many sharks, white tips can breathe while still…they do not need to constantly swim. When night falls, reef shark venture out of hiding to hunt in groups, eating fish, crustaceans, and octopus. 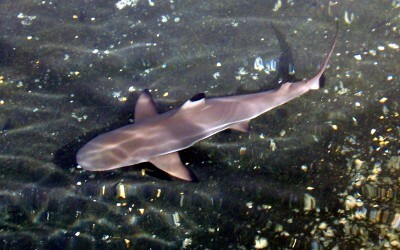 White tip reef shark grow to a maximum of just over five feet long. 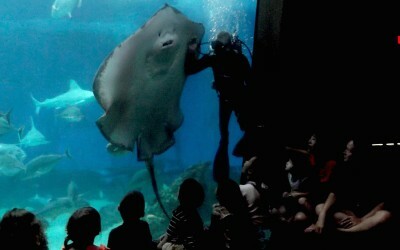 This makes them a smaller shark compared to others in its family. White tips are not typically aggressive toward people, but have been known to steal spear fishermen catches. 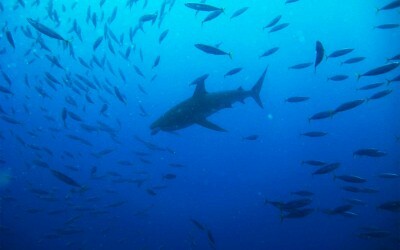 To learn more about white tip reef shark, you can take a look at Wikipedia’s insightful entry.